Over the years, we have helped our clients become more profitable and more successful. These are some of their recommendations. "I have worked with Software Outfitters for years and have always been impressed with the immediate response we receive to our questions and concerns. We had a month end process running profit margin reports and inventory stock value reports for our multiple locations. The process involved running approximately 15 reports times 14 different locations…so we are talking a number employee hours just running reports. Then the information was manually typed into a spreadsheet. I explained to Tina what we were going through and she said “We can build a custom report for you.” So she sent the end results that we wanted for our month end reports over to Shawn to write a custom report for us. And lo and behold it now takes us a click of a few button and our information populates into a nice spreadsheet. I truly appreciate the work Tina does for us and all the help she provides to us. The whole team at Software Outfitters has been great to us. Thank you for being there for us to help us grow." "I wanted to drop you a note to tell you that TINA ROCKS!!!! I am sure you know that, but she really stepped up and helped us resolve a big issue and I am very thankful that she did. I am sure that she does not always get kudos for her daily do’s but she is always there when I need her and she always accomplishes what I and others need in our office. She always calls in a timely manner, her professionalism and the knowledge that she brings to the table, not only of the software but her accounting background is impeccable. I just wanted you to know how much I appreciate her and how much I appreciate the work she does for us." "Software Outfitters has been our software consultant since 2002. 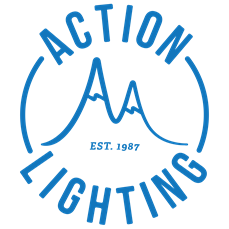 Action Lighting is a unique lighting company that specializes in amusement, sign, and holiday lighting. Recently we had been utilizing an antiquated and time consuming process for handling our internet ordering, fulfilling, and payment orders. Tina listened to our situation, analyzed our needs, and came up with a custom program that greatly streamlined our processes. She even came out and did an onsite implementation to make sure it worked as planned. Our return on this investment was seen immediately. Software Outfitter’s explains in depth not only how the programs work but have also written other custom programs that have greatly enhanced the efficiency of our operations. They know when we call its important and make us a priority. Tina definitely knows the Cougar Mountain software inside and out. I feel Software Outfitters is valuable part of our team." "Brown Dairy Equipment has been working with Software Outfitters for over 12 years. After we switched accounting software in 2003, we found that we needed a software consulting firm that we could trust to help us work through the transition and moving forward. Our company specializes in serving the dairy industry, selling and servicing milking equipment, providing supplies needed to keep that equipment clean and sanitized, aftermarket products, all while providing the highest level of cow comfort. Over the last 12 years we have expanded from one location to now 3 locations, covering the majority of Michigan. With this tremendous and fast growth Software Outfitters has along of us every step of way. Our main challenge was handling multi-location inventory. Software Outfitters analyzed our needs, and quickly determined that custom modifications to the inventory module of our Cougar Mountain software would greatly benefit us in streamlining our processes. Since that obstacle, we have had several other situations requiring additional modifications to other areas of the software, and Software Outfitters was able to make these modifications seamlessly so that data from all areas of the flowed effortlessly. Software Outfitters makes our software issues their priority and they’ve never let us down." 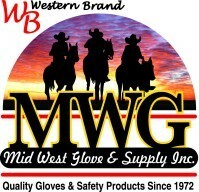 "Mid West Glove & Supply has been using the services offered by Software Outfitters since 2003. They have helped us with the customization and support of our accounting system, implementation of a fully functional website, and implementation of a tablet based sales tool called bMobile. Needless to say we view them as a critical business partner. The tech support and project teams have taken a real interest in our business and have always been found to be extremely competent and responsive in their delivery of services. I personally have worked with this company since the beginning of our business relationship, and can honestly say that they have assembled a great team of people, from the owner down to the receptionist, including a couple of real hidden gems hanging out in their programming department. I recommend Software Outfitters highly and would encourage anyone looking to grow or expand their business to begin a relationship with them today. 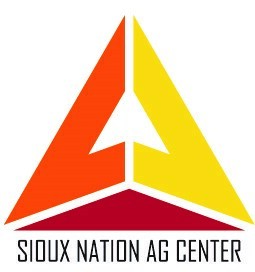 They for sure have the tools, knowledge, and experience to help you get where you want to go." "Eight years ago we made the decision to completely change our computing system. We had very special needs to integrate our program across four locations and multiple inventory lines. After much research we settled on Cougar Mountain. We needed a great deal of proprietary programming and were connected with Software Outfitters. A lot of work went into developing our specialized program. We initially got great service and have received ongoing support as we upgraded and now continue to customize our software. Tina Allen is an amazing resource for all things computer and accounting. She responds immediately and is a great source of support." 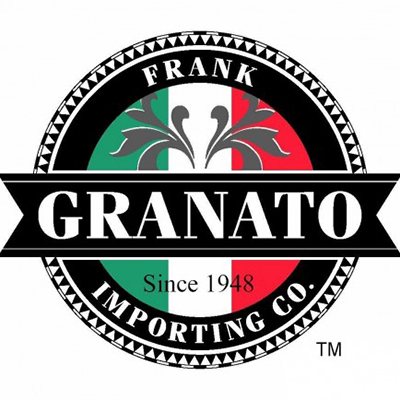 - Frank Granato Importing Co.